Nishi Enterprise is a leading designer, manufacturer and supplier of top-grade conveyor machines in India. Ever since we opened up our business, we have been delivering custom built engineered solutions for various industrial automation requirements. Our highly advanced conveyor machines are used in a wide range of industrial operations all across India as well as the rest of the world. Some of the types of conveyors that we are known to manufacture and supply include gravity roller conveyors, powered roller conveyors, belt conveyors, slat conveyors, power conveyors, vertical conveyors and chain conveyors. Depending on where conveyors are required in the assembly lines, we can provide with products that can perfectly cater to the needs of our clients. With the help of our conveyors, you can not only boost the speed of production but also greatly reduce the cost of labor. Conveyors can also streamline the whole assembly process. It is therefore no wonder that most industries prefer to invest in conveyors. Well-structured conveyors can help in smoothly transferring various materials and products from one point to the other. The growing needs of automation solutions in India and abroad have made it necessary for companies to get dynamic and efficient conveyors for their business needs. It is due to this reason that various products like loading unloading conveyors, automotive conveyors, mining conveyors, agricultural conveyors, conveyors for electronic products, conveyors for computer systems and peripherals, food processing conveyors, aerospace conveyors, pharmaceutical conveyors, chemical conveyors, conveyors for plywood and woodworking manufacturing purposes, conveyors for canning and bottling, print finishing conveyors, packaging conveyors and other products are in such great demand. If you are associated with the business of handling packaged and unpacked foods, processed or raw products, cans and bottles, scrap metals, automotive components, cartons or bags, pills and powders, wood and furniture as well as electronic and electrical goods, then you should definitely get in touch with us to buy the best quality conveyors in the market. Here are some of the types of conveyors that we have to offer. We excel in designing and manufacturing top of the line gravity roller conveyors. Our gravity roller conveyors come in both standard forms as well as custom units crafted as per specific requirements of our clients. Our gravity roller conveyors offer excellent services for diverse works and projects. The best thing about our gravity roller conveyors is that there is no need of using electrical power to run these products and they can be run by gravitational force. Additionally, the slope of these conveyors can be conveniently adjusted through swivel brackets present at the end. We at Nishi Enterprise have some of the finest Powered Roller Conveyors to offer to our customers. Considered to be extremely user friendly, we can provide you with Powered Roller Conveyors based on the custom specifications that you provide us with. If you are looking to find the best quality belt conveyors in this industry, then you should definitely consult us at Nishi Enterprise for the most smartly constructed products. Our belt conveyors can handle products of diverse weights and textures. We produce both horizontal belt conveyors and inclined belt conveyors. Since we use top quality belts for these products, it helps to grip the products efficiently and prevent them from accidentally sliding down. We also provide with a high-quality stainless-steel sheet just under the belt. Our belt conveyors have widths ranging between 50 mm and 1200 mm and they can be used to convey products with weights anywhere between 30 grams and 25 kilograms. Additionally, we also offer models having fixed speeds and variable speeds. Nishi Enterprise is one of the best manufacturers of top-grade Chain Conveyors. 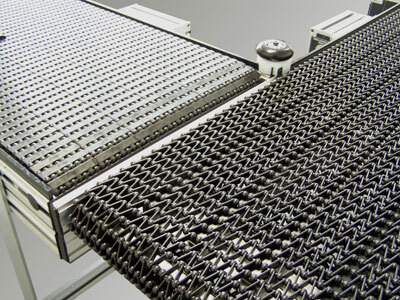 We use steel chains and plastic rollers to create our chain conveyors. These chain conveyors have a pallet on which the product is kept. Even heavy materials can be easily kept on these chain conveyors. The versatility and efficiency of chain conveyors make them perfect for a wide range of industries. They are also perfect for complicated assembly lines. The slat conveyors are mainly conveyors that come with steel slats. The slats can have varying thickness and may depend on the nature of the product to be handled. These slats are placed quite closely to one other so that a product can be easily moved on the conveyor. It is also possible to weld fixtures on the slats for managing different types of items. The Vertical Conveyors can be used for carrying products vertically downwards or vertically upwards. They usually have a height of around 4 meters and can easily carry items of 30 kilograms on every pallet. Why Should You Use Nishi Enterprise Conveyors? 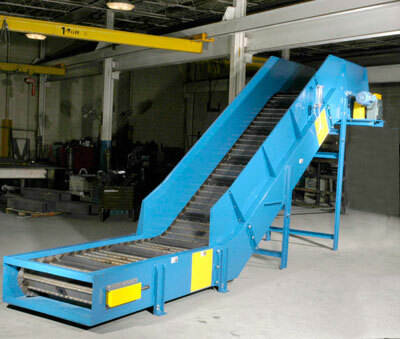 These Conveyors can help in minimizing manual waste to a great extent. The conveyors can offer a lot of flexibility when it comes to handling various products. These machines can help in better quality control for all products. Workers can operate more safely when these conveyors are used. The great thing about our conveyors is that they require less maintenance. We only make use of the finest materials while creating our conveyors. We offer a wide range of custom conveyor models for our clients.